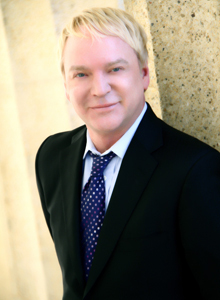 One of the leading influencers of style in the United States, Rodney Mitchell is the owner of two of the most successful salons in Nashville, Tennessee. Along with his experienced staff, Rodney Mitchell offers hair services to a wide variety of this country’s most stylish citizens--from ultra successful political and business leaders to students at the three universities located within walking distance to some of the most photographed celebrities in the United States. As Nashville continues to grow in popularity, attracting thousands of visitors each week, The Rodney Mitchell Salons are popular with bachelorette party groups, bridal parties, and convention attendees. Nashville’s leading concierge professionals feel confident in recommending The Rodney Mitchell Salon to their most discriminating guests. In addition to running his successful salon, Rodney Mitchell and his staff are also the leading "on-location" salon team for photo shoots, television productions, and fashion shows in the South. Among the celebrities Rodney has worked with are Faith Hill, Tim McGraw, Jeffrey Steele, Martina McBride, Tanya Tucker, and Shania Twain. His work with these celebrities has been seen on the pages of the world’s most popular magazines, and television screens across the globe. Among the designers Rodney and his staff have worked with on area fashion shows are Michael Vollbracht, Ralph Rucci, Pamella Roland, Lela Rose, Zang Toi, David Rodriquez, Rosalinia, Tracy Stern, Mattoe Norris, Douglas Hannaut, Gustavo Cadille, Tulah, and Badgley Mischka. In addition to making Nashville a prettier place, Rodney Mitchell also works to make Nashville and Middle Tennessee a better place for everyone with his hard work and fundraising skills. He has helped raise millions of dollars for organizations such as The American Cancer Society, Look Good Feel Better, Gilda’s Club, Locks of Love, Bridges of Williamson County, Nashville Cares, The Comprehensive Care Center, The Human Rights Campaign, Camp Smile Mile, The Elephant Sanctuary, The Nashville Symphony, the Red Cross, and the Second Harvest Food Bank. Rodney was named grand champion at the 2013 edition of Dancing with the Nashville Stars which was a benefit towards Feed America First. The event which featured local celebrities including professional athletes, news personalities, and politicians, and raised funds to provide meals to more than 800,000 needy families. The Rodney Mitchell Salon is located at 1816 21st Avenue South in Hillsboro Village. The Rodney Mitchell Style Bar and Spa is located at 219 6th Avenue North in downtown Nashville.